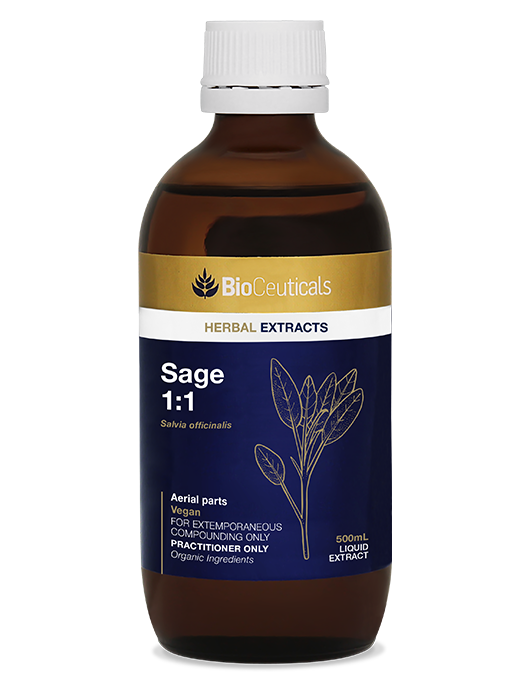 Sage, also known as common or Dalmatian sage, is a perennial shrublet with wrinkled grey-green leaves and purple-blue flowers. [1-3] The name Salvia officinalis is derived from the Latin word ‘salvere’ meaning ‘to heal’, or ‘to be saved’. Solvents: 65% organic cane ethanol, 35% mountain spring water. 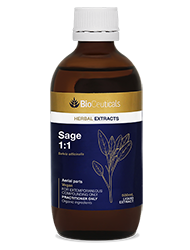 For further education and research, refer to the BioCeuticals Sage Monograph.